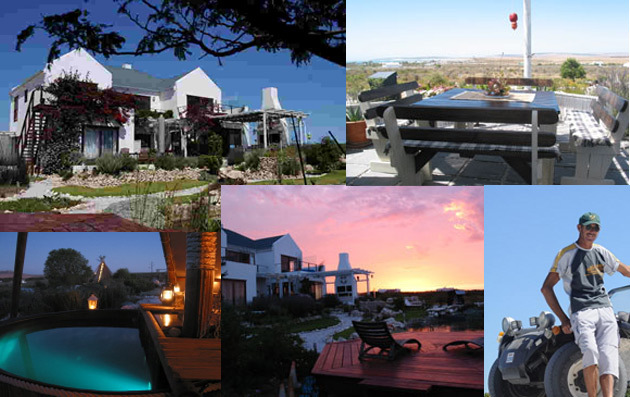 Becoming well known as the St Tropez of South Africa Paternoster stays a charming old fishermen's village along the West Coast, just a casual 1,5 hours drive North of Cape Town, where past and present meet. In Latin Paternoster means 'Our Father'. Bare this peaceful feeling in mind and you will get to the right place for your choice of accommodation. Enjoy bed and breakfast in the guesthouse Farr Out. The few minutes drive from Paternoster 'Center' to Farr Out is not what you would exactly call far. But when you arrive in this sandy bushveld wilderness, you do feel pleasingly remote. Crunching up the glinting shell pathway you can see across an indigenous garden and right out to sea. Catch the glimpse of the last manned lighthouse of South Africa situated in nearby Cape Columbine Nature Reserve or listen to the foghorn and cuddle up. Go on; be extravagant, enjoy your vacation! Four luxury rooms will make your stay comfortable and unforgettable in our guesthouse. Experience our OUTDOOR WOOD-FIRED HOT TUB! … star gazing in a different way …Do you prefer adventure? Tailor made Beach Buggy trips offered at Farr Out. 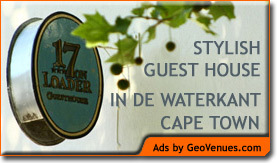 Your hosts speak English, German and Afrikaans. The perfect 'off the beaten track breakaway'. About 2 hours from Cape Town centre.